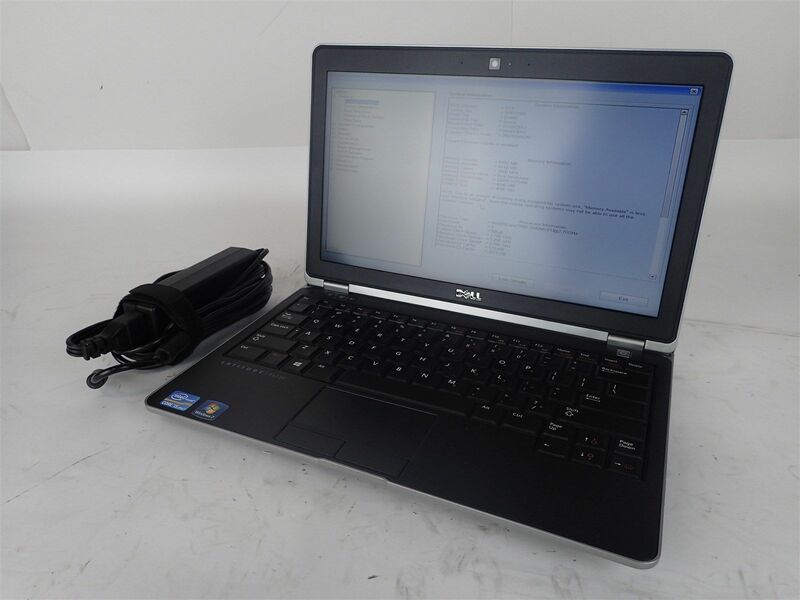 Dell Latitude E6230 12.5″ i3-2350M 2.3GHz 4GB RAM Admin Pass Set AS IS READ! The whole laptop, everything working perfectly, except… it has a firmware password set, and the seller doesn’t know the password. Well no bother, it’s cheap (83 EUR), I know how to flash SPI chips. Should be a piece of cake to clear this password! I also had an E6230 motherboard with a Core i5-3320M which I had found on eBay for 40 EUR, so my plan was to swap the boards, and then work on clearing the password. 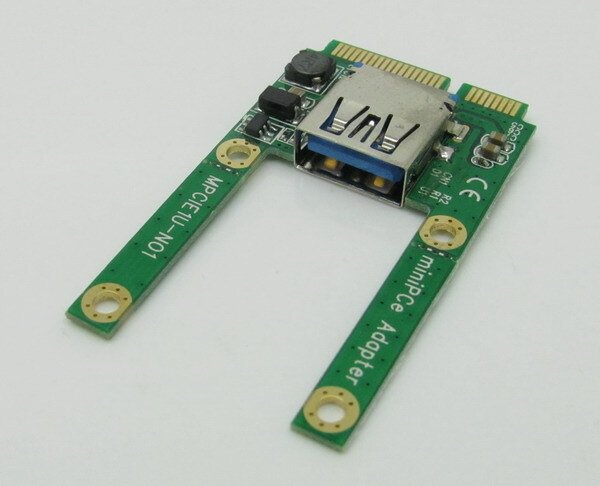 These boards contain two flash chips: Winbond 64Mbit (8MB, U52) and Winbond 32Mbit (4MB, U53) located to the left of the SIM card slot. 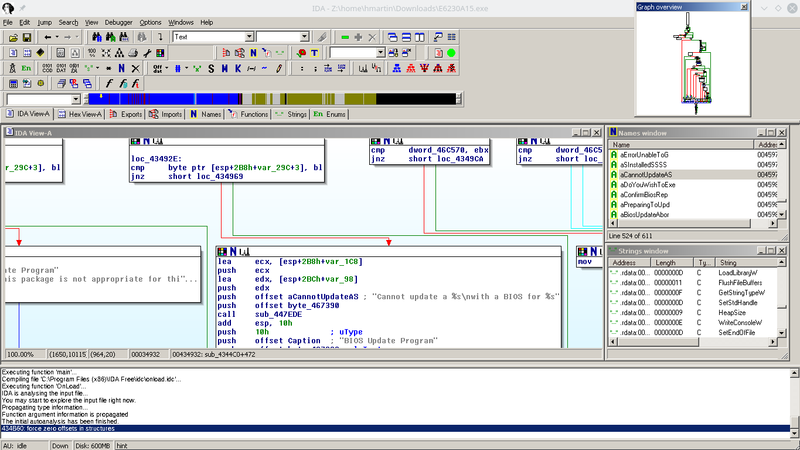 The first step was to dump the SPI flash from U52 and U53 on both boards as a backup before flashing anything. This seemingly went well, but when I flashed the i5-3320M firmware dumps to the board with the i3-2350M, I had a brick. I’m not sure exactly what happened, but my guess is that by leaving the flash soldered to the board, I somehow managed to get data from both chips. Alarms should have been going off in my head when my SPI reader dumped 8MB from a 4MB chip. Not wanting to risk wrecking the i5-3320M board by desoldering the flash, I turned to the internet and discovered the terrible world of BIOS image dumps. It’s nearly impossible to find any website offering SPI dumps for free. Of course you can download the firmware update tool from the manufacturer, but those are meant to be run only on the intended hardware, and they only contain regions of the SPI flash like the UEFI firmware and Intel Management Engine. 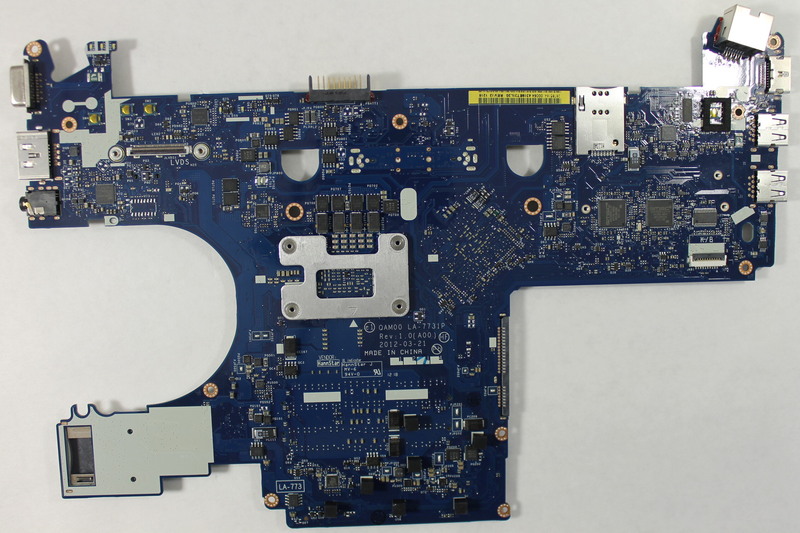 I was able to find an SPI dump of the E6320, which is a 13.3″ laptop one generation previous to the E6230 (12.5″). As I had nothing to lose, I desoldered U52 and U53 and flashed the E6320 images to each chip. To my great surprise, the board passed POST, albeit with a warning about unsupported hardware. I was even able to enter the UEFI setup utility. My next thought was to try the Dell E6230 BIOS update tool, which can run from DOS. I put FreeDOS on a USB stick in the above adapter and installed that in the WWAN Mini PCIe slot. Unfortunately for me, Dell has put checks into the update utility to check that it’s running on the correct hardware. This makes total sense, if a user downloads the wrong update for their laptop, they shouldn’t end up with a brick. However, it didn’t suit my purpose. I wanted Dell’s BIOS update utility to ignore the fact that it was running on an “E6320” and instead flash the firmware for the E6230, the actual hardware. Changing this check to a jz and I tried again. This time the utility didn’t complain about the machine being an E6320, but as soon as the flashing process started, the laptop shut off. So what happened? My best guess is that Management Engine shut down the platform. The Intel ME has existed since the mid-2000’s, and is now deeply integrated into all of Intel’s modern x86 SKUs. The ME can provide additional functionality like a TPM (implemented in firmware), cryptographic acceleration, DRM, as well as other patented and super duper proprietary stuff. There’s a fairly comprehensive feature list available on Wikipedia. Since Intel doesn’t actually release documents on the ME, it’s hard to come by actual information on the inner workings. It’s also why some libre people are concerned about buying newer laptops: the ME is integrated into the PCH, cannot be disabled, runs an OS with direct memory access to system RAM and has never been audited. Trammell Hudson is currently experimenting with coreboot on the Lenovo X230, and it seems like there’s a non-zero chance that he’ll succeed in disabling the ME. Anyway, I was on vacation earlier this year and had lots of time to kill in airports/planes/trains so I read a book about the Intel ME called “Platform Embedded Security Technology Revealed” You can download the ebook for free as a PDF or EPUB from the publisher. Using knowledge from the above book, we can conclude that the security number of the Series 8 ME firmware must be equal to the security number of Series 7 firmware, or the ME would not allow the platform to power on. Unfortunately, the updater managed to overwrite something important in flash before the ME cut power, because now I’m stuck with a brick again. This entry was posted in Embedded, Security and tagged BIOS, dell, E6230, firmware, intel me, Latitude E6230, management engine, PCH, UEFI on 2017/01/20 by Hal Martin.